1. Controlled by build-in intelligent circuit to ensure stable output. 2. With battery well loaded, press and hold power button will get into turbo mode, while press and hold W button will get into strobe mode. 3. Duable switches system for convenient operation. 4. Five brightness levels setting: click on the W button to cycle through Moonlight-Low-Mid-High-Turbo brightness levels when the light is on. 5. Micro-USB charging with battery status indicator. 7. 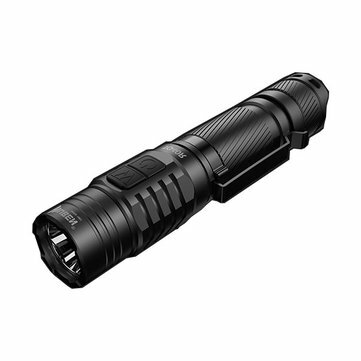 1200 lumens max output, 220 meters max long beam distance. 8. Strong but lightweight aircraft level aluminum alloy .